Recent activity from the Equal Employment Opportunity Commission (EEOC) regarding employment background screening and specifically, criminal records checks, underscore the importance of a holistic approach to screening applicants and employees. Specifically, the EEOC is taking action to enforce its long-standing guidelines for the use of information such as criminal background checks and credit reports in the hiring process. These guidelines were designed to protect applicants from discriminatory hiring practices based on the use of criminal checks and other potentially discriminating background information. What does the EEOC want to see? and the nature of the job held or sought. In 2008 the EEOC further clarified its position by stating that while conviction records may be considered in the employment decision, where there is a disproportionate impact based on race or national origin, the employer must demonstrate that it considers the relationship of the crime to the position sought. Today, increased EEOC interest and action regarding those guidelines have come as a result of employers who continue to use background information in discriminatory ways. Specifically, the EEOC is bringing its attention to employers who instill blanket policies against hiring anyone with any type of criminal record or poor credit score and employers who fail to demonstrate a correlation between the background check and the job itself. As a result, the Commission is considering revisions to its guidelines that will create a necessity for employers to prove that the decisions they make based on a background check actually correlate to the performance of an individual in a particular job. These discussions underscore an employer’s need for a holistic background screening approach. What’s important is the totality of an individual’s experience. At Proforma, we have long been proponents of a holistic approach to employment background screening that is consistent with EEOC guidelines. What do we mean by holistic? Simply put, employers should consider the totality of an individual’s background and experience when making hiring decisions. A single blemish on a criminal record or a poor score on a credit report, in and of itself, should not necessarily disqualify an individual from employment (unless it clearly makes job-related sense to do so). Rather, employers should consider the sum of an individual’s background – education and employment verifications, reference checks, criminal records checks, DMV records, credit checks, drug screening, job testing, job interviews, and other background screening tools can be combined to gain a holistic view of an individual. From this, appropriate and defensible inferences can be made about an individual’s employment suitability. How can you comply with EEOC background screening guidelines? So how can you ensure compliance with EEOC guidelines concerning the use of credit histories and criminal background checks in the employment process? Evaluate your hiring guidelines. Do your guidelines effectively balance the relevance of the criminal or credit information with the position you seek to fill? After all, an aggravated assault conviction is relevant when hiring a school counselor but may not be relevant when hiring an at-home telemarketer. Remember that not all offenses are equal. Rather than making an across-the-board decision to ban all applicants who have any criminal history, consider the type and degree of the offense. A misdemeanor shoplifting conviction should be looked upon differently than an aggravated assault conviction. Consider the amount of time that has passed since the criminal conviction occurred. It may not be relevant to consider a misdemeanor conviction from 20 years when interviewing a 45-year-old candidate for an inside sales position. Review your employment forms to ensure compliance with FCRA and EEOC guidelines. The FCRA requires specific notifications and permissions to be used before obtaining information from a third-party about the background of applicants and employees. If you have questions about how to build a holistic background screening program, ask a background screening expert or download our free guide, How to Build a Better Workforce with Pre-Employment Background Screening. 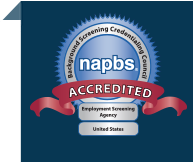 Looking for a background screening partner? Give us a call at (866) 276-6161 or request a meeting.